Traditional Japanese bento comes with rice, seafood, and meat as a side dish, and tsukemono (Japanese pickled vegetables) like umeboshi (pickled ume ,plum) as a relish. 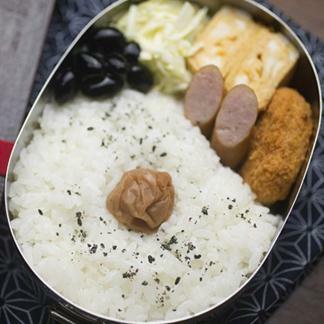 Bento filled with rice ball or rice stuffed with sushi is also popular. Japanese traditional lunch is made in each family, and this work is the important position as one of the housework. 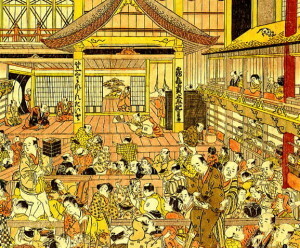 The origin of bento goes back to the Heian era. cooked dried-rice called was used as a potable food. Dried boiled rice can be kept in a small container, and it’s possible to be eaten as is or after cooking in water. 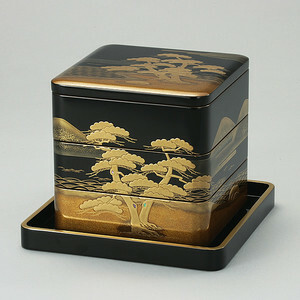 After the Azuchi-Momoyama era, a lacquer bento box that can still be seen today was invented. 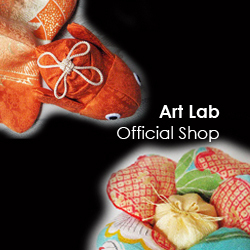 After that, bento box came to be used for events such as cherry blossom viewing or a tea ceremony. Travelers and tourists prepared a simple ‘packed lunch’ to carry around. The ‘packed lunch’ was the thing which was a set of some rice balls and was wrapped up with a bamboo sheath and was packed to a bamboo basket. The “Makunouchi-bento’ is still popular today and which also made in the Edo period. Because people ate the special bento between show, Kabuki or Nou. The curtain at stage is called “ Maku”, and “ Uchi” means inside in Japanese. So that why, people called it “Makunouchi-bento,” . During that time, many cooking books on bento were published. These books covered the detailed and specific instructions on how to cook, wrap, and decorate bentos intended for people who prepared for the Doll Festival or cherry blossom viewing. 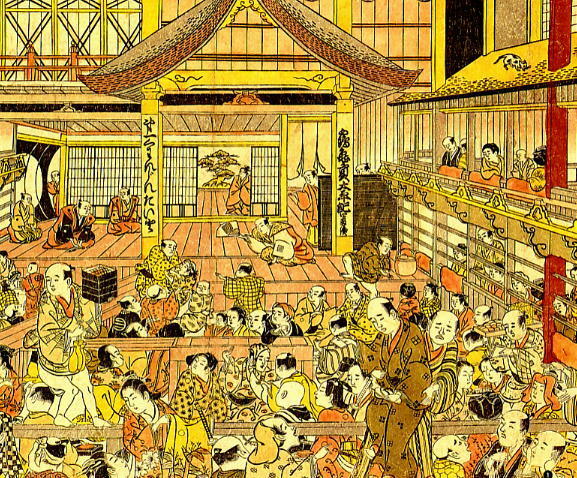 In the Meiji era, a bento came to be sold as “a station bento” in a railroad station in Japan. It has begun to be sold after World War II at a supermarket or the store. From late 1980s to the 1990s, The lunch production store and the specialised take-away shop or the convenience store were became popular In Japan.